The attempt to play chicken with government operations and the nation's creditworthiness, and the shutdown and anxiety in financial markets resulting from the attempt, already have harmed U.S. foreign relations and interests overseas. This is part of a much broader array of major costs and damages that will be adding up for a long time. But if you are interested in avoiding an Iranian nuclear weapon -- the focus of negotiations this week in Geneva -- at least the way the crisis of governance in Washington ended provides a silver lining to this sorry chapter in American political history. This is because if President Obama is going to reach an agreement to keep the Iranian nuclear program peaceful and to make that agreement stick, he needs to demonstrate the ability and willingness to rein in destructive behavior in Congress that would preclude such an agreement. But it would not be sufficient, and would not be a fair trade, for the concessions and restrictions we want from Iran in a comprehensive and lasting agreement. Nor would it be sufficient for the President, as has been suggested, merely to be lax in the enforcement of legislatively impose sanctions. Besides showing disrespect for the law, this would hardly reassure the Iranians that an agreement would stick. They would understandably fear that what one U.S. president might decline to enforce the next one would. The administration will need congressional cooperation to undo sanctions that were erected supposedly to induce the Iranians to accept just such an agreement. The President can accomplish some rollback of sanctions on his own authority, and that might be sufficient for some sort of partial, interim, confidence-building deal. Even before getting to the point of striking a deal, congressional action can scuttle the prospects for one or at least make it far harder to reach an agreement. The imposition of still more sanctions, and the rattling of more sabers through legislation that refers to military force, are the sorts of congressional actions that would be a slap in the face of a new Iranian administration that has just placed a constructive proposal on the negotiating table, would feed already understandable Iranian suspicions that the United States is interested only in regime change and not in an agreement, and thereby would weaken the Iranian incentive to make still more concessions. Unfortunately legislation for more sanctions and more saber-rattling has already been introduced in Congress. Pushing back against the promoters of such legislation involves some of the same perpetrators who had to be pushed back to avoid default and to end the shutdown. 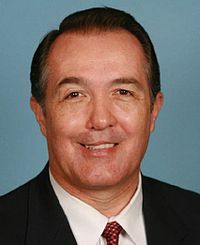 All of the co-sponsors of a bill from Rep. Trent Franks, R-Arizona, that is a thinly disguised authorization for launching a war against Iran were among those who this week voted against the resolution that ended the funding and debt crisis. Mr. Obama's demonstration of backbone this month will help on the Iran issue, but there still are other reasons to question whether the administration will similarly show sufficient fortitude on behalf of an agreement to keep the Iranian nuclear program peaceful. For one thing, the President does not have the unanimous support of his own party, as he did in the standoff that just ended. A significant number of Democrats, not just Republicans, have come under the sway of those determined to prevent an agreement. Also, even those who consider the Iranian issue important have to admit that avoidance of default (and keeping the U.S. government running) is about as serious a matter as the President is likely to face, and he cannot be expected to give as much priority to every issue as he did to that one. Besides political capital, it also takes time and attention to tend directly to a foreign policy initiative, and to keep beating back unhelpful behavior in Congress that threatens to undermine the initiative. The attempt of congressional miscreants to play chicken has taken a toll here, too. The President skipped a couple of East Asian summit meetings to deal with that problem in Washington. Secretary of State Kerry subbed for him, which meant Kerry had that much less time and attention to devote to other matters that are his responsibility, such as the Israeli-Palestinian talks (remember those?) and the Iranian nuclear negotiations.